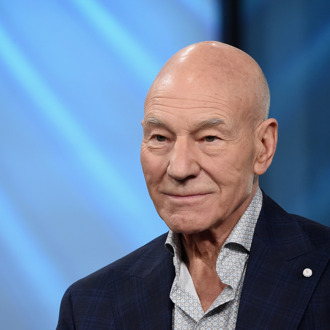 On his continued quest for Americanization (including, but not limited to: TMI oversharing, quitting stuff, and pursuing actual citizenship), British acting legend and handsome gentleman Patrick Stewart today announced that he is down with that sticky-icky. That’s right: P-Stew likes pot. Or rather, P-Stew likes the prescription pot he gets from his doctor, which allows him to lessen the pain and stiffness associated with the genetic arthritis in his hands. As Entertainment Weekly reports, Stewart went to bat for weed for an Oxford University project exploring the medicinal benefits of marijuana. Which, actually, is a pretty British way to advocate for drug use. Stewart reported no side effects of his treatment. “This is an important step forward for Britain in a field of research that has for too long been held back by prejudice, fear, and ignorance,” the actor stated. “I believe this program of research might result in benefits for people like myself, as well as millions of others.” Take that, anti-drug crusaders! And, in case you were wondering, Sir Patrick Stewart’s preferred method of ingestion is — as it is for many of us — the edible kind.